Before I went in, I decided not to bring the entire laundry list of things that I’ve noticed or been worried about over the last decade or so. That’s how long it’s been since I’ve had a primary care physician. It’s been hard for me to know what is worth seeking medical attention for. If I just slept more, would I really be this tired ALL the time? If I wear better shoes, maybe my lower back wouldn’t hurt like this. These headaches are probably normal. Or at least, they could be much worse. The few times I had tried to ask a doctor about any of these issues, I felt dismissed. One tried to put me on antidepressants (I still don’t understand why). Another said my symptoms were psychological since the few tests he’d run had come back clear. I did not go back. And, instead, gave up. I gave up believing that my concerns were valid or that I could find someone who would listen. I did, however, find an amazing dentist, orthodontist, periodontist (mouths are expensive, y’all), and most recently optometrist. I had grown increasingly troubled by the headaches I’ve been having that originate behind my left eye. His thorough exam did not reveal any probable cause, and the likely culprit is my astigmatism coupled with a job where I stare at a computer screen all day, but he highly recommended seeing a physician to be sure no additional testing was needed. Reluctantly, I allowed the medical center to “match” me with a doctor. I can’t say that I was nervous or anxious on the day of the appointment, because, truly, I had no expectations. 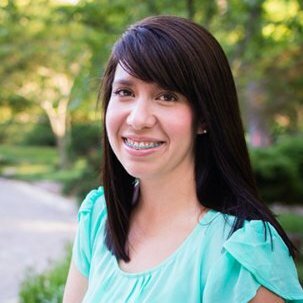 Courtney Garza currently hails from Birmingham, working at the University of Alabama. She can kick your tail at Scrabble and put anything together regardless of whether or not she has the instructions. She’s a faithful friend, gifted writer and lover of Jesus.